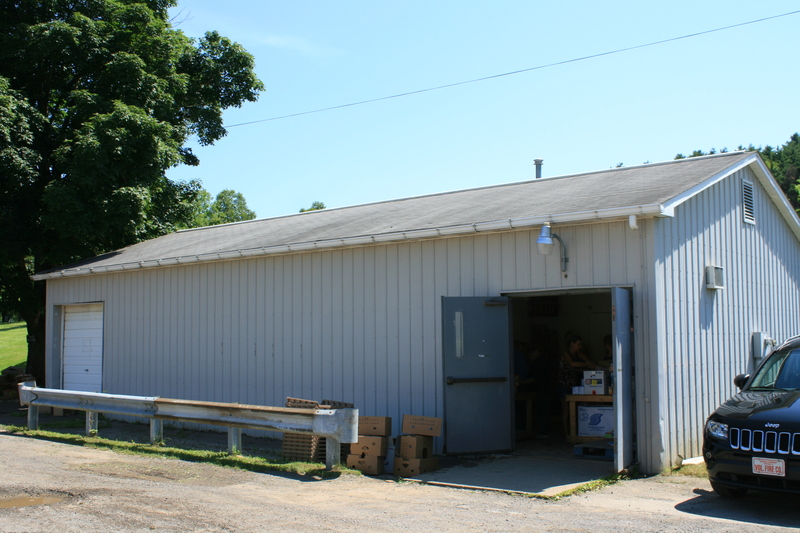 The Brookville Area Food Pantry serves food scarce residents in the Brookville Area School District since the early 1980s. The food pantry began under the direction of the Brookville Ministerial Association and was first housed in the parish hall of Holy Trinity Episcopal Church. In 1996, it expanded to the 8 Sylvania Road. The food pantry is part of the Second Harvest Food Bank of NWPA, particularly The Emergency Food Assistance Program. For more information about food programs through Second Harvest, click here. As of July 21, 2016, our new location is 142 Allegheny Boulevard, Brookville Pa. This is a recently remodeled facility located at the former Agway Building on Route 28 South of Brookville. The phone number for the new location is 814-849-0818. Hi Chris, I just saw your comment about wanting to donate eggs to our pantry, that would be wonderful. There will be someone at the food pantry this morning. If connections were not made, please get in touch with Ed Pearce 849-3469. Thank you very much for donating to our food pantry. I have been having trouble making a donation. My cards are not being accepted. I have recently used them at other sites and previously used them here. Thought you should know a s others my be having troubles too. We apologize for your difficulty in using your cards through the paypal link. I have forwarded your comment on to our finance area. In the meantime, if you’d like to send a check or make a cash donation, please make your check payable to Brookville Area Food Pantry and send it to the Brookville Area Food Pantry, c/o Brookville Area Ministerial Association, PO Box 62, Brookville, PA 15825. Cash donations can be dropped off at our facility at 142 Allegheny Boulevard any Thursday from 10-noon or 6:30 – 8:00 p.m.